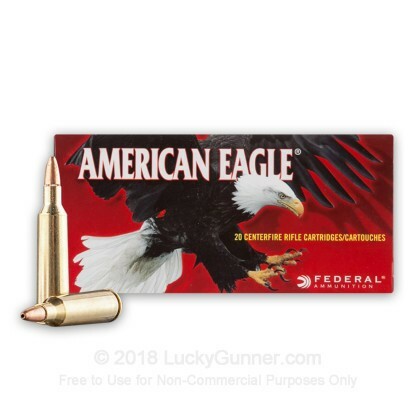 Those pesky varmints won’t know what hit them with this 22-250 Rem Ammo by Federal American Eagle. 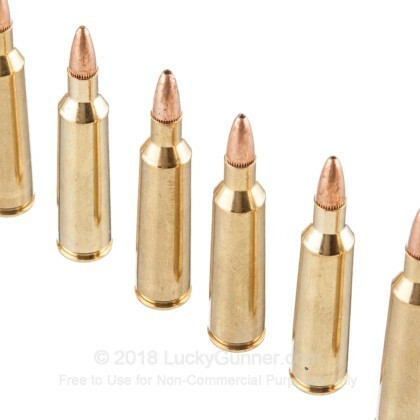 Each 50 grain bullet features a jacketed hollow point designed to expand consistently and fragment for lethal effect; the copper sheath will minimize lead fouling in your favorite rifle. 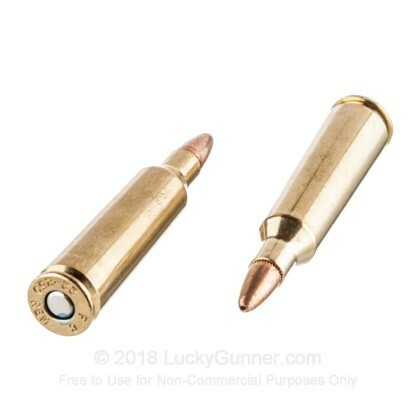 These high velocity rounds leave the muzzle at 3850 fps and will be sure to drop the most stubborn varmint with stunning knockdown performance. 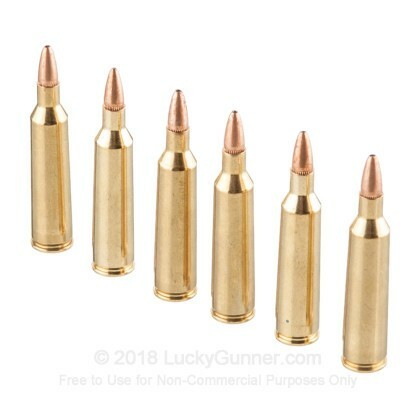 This affordable 22-250 Rem ammo comes in Boxer-primed brass casings that are reloadable. 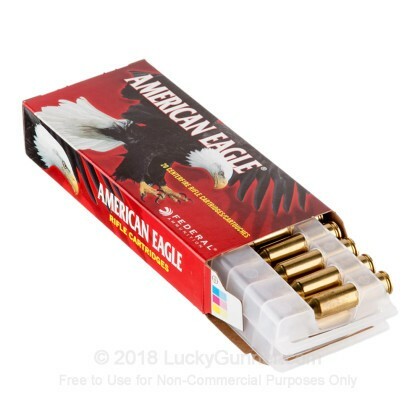 Federal manufactures this ammunition in their Anoka, Minnesota factory with some of the highest quality standards in the business. Hunters and sportsman have trusted Federal with their ammunition needs since 1922. 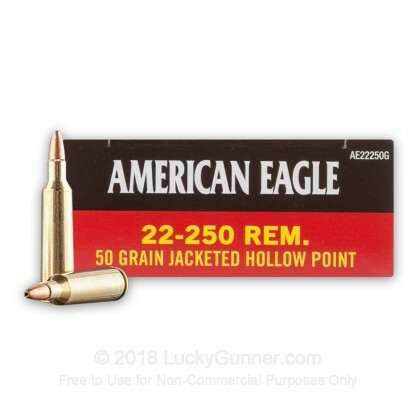 Pick up 20 rounds of this top quality 22-250 Rem ammunition for your rifle and start picking off varmints today!